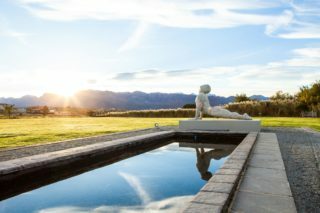 On a cold and cloudy Friday morning in August, we were whisked away from Joburg’s grey, smog-covered skies and neatly deposited in a previously-hidden world near Franschhoek. Here, wellness, healthy living and holistic medicine rules the day, and this is how we spent our weekend. Yes, this was real life. 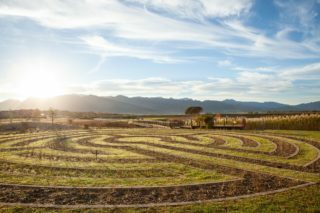 Surrounded on all sides by the awe-inspiring Drakenstein mountains and nestled between rows and rows of grapevines, Santé Wellness Retreat & Spa is the complete answer to the harmful effects of our modern Western lifestyle and the toll it takes on our health. Honestly, all you need to do is show up. The staff at Santé are specifically trained to cater for the needs of their clients and carefully provide for them. 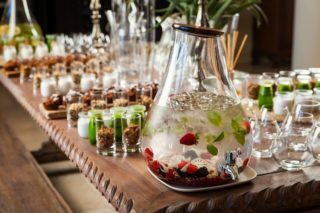 Not only were we able choose from the wildly extensive menu of treatments that are available (Santé currently has the biggest range of spa treatments in South Africa), but we also enjoyed delicious gluten-free, dairy-free and sugar-free meals that were freshly prepared every day by their executive chef, Terrence Ford, and his team. Iyengar yoga was offered in an idyllic and wholly natural environment, and the luxury suites in which we spent our nights over the weekend are sure to satisfy even the most picky of travellers. 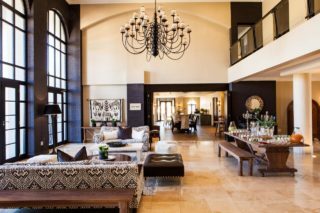 If you are looking to stay over, speak to Marthie de Bruin, Front Office & Guest Relations manager, to make a booking. In this case you can enjoy meals as part of the package, as their luxury accommodation options include both meals and refreshments. 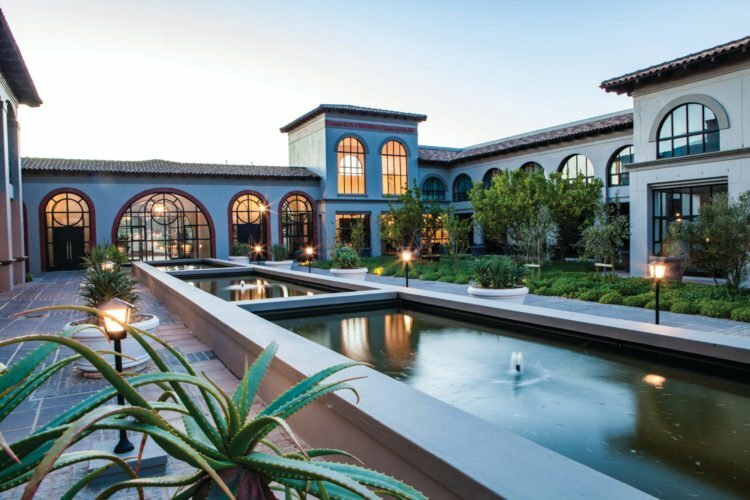 On the other hand, if you are simply looking to relax at the spa, speak to Mimmie Lancaster, Santé’s capable spa executive. We visited in August, during the winter, and the weather was surprisingly pleasant. So much so that we were able to not only go jogging in the morning, but also enjoy their outdoor labyrinth and guided early morning walks. If you happen to visit in less pleasant weather, the retreat is still set up to accommodate all the varying seasons which the area is capable of dishing up. In winter, you can enjoy their heated indoor pool and indoor yoga – if the Western Cape weather has you avoiding the cold and rain – while summer and the warmer seasons will have you soaking up the sun by the poolside and enjoying their expansive gardens and vineyards. Pack comfortably – your trip will be for relaxation and rejuvenation, after all. Remember your swimwear for both hydrotherapy treatments and the two pool options for both summer and winter. Take yoga and fitness gear, so you can enjoy their yoga classes, fully equipped fitness centre and lovely jogging trails outside the grounds. All the treatment options at the spa make use of [comfort zone]’s products, with each treatment being accompanied by the use of aromatherapy to properly induce a sense of relaxation. Each of our selected treatments included a facial, a massage and a body exfoliation and wrap. Santé’s therapists are professional, friendly and well-trained, with each of them providing our skin and body with only the best results. 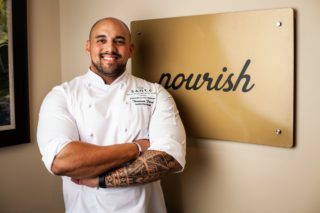 When it comes to mealtimes, all the food served to clients are specifically catered to be real, whole and unrefined meals made without the use of sugar, dairy, gluten, preservatives, colourants and additives. At the end of the weekend, we felt as though we had undergone complete rejuvenation in body, mind and soul. At Santé, health and wellness is viewed as a holistic, complex concept and the staff approaches their clients’ health accordingly. 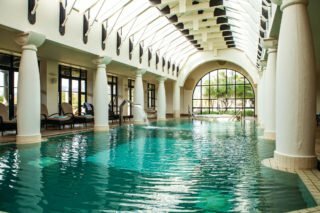 Clients of the spa and retreat will also have the option to make use of their Health Optimizing Royal Retreat, where non-invasive, technology-based methods are applied for assessment and treatment by specially trained doctors and therapists, led by Dr Helen Muir – a specialist in integrated medicine. Husband and wife team, Graham and Ingrid Hindle – both chartered accountants – along with their partner, Keith Macmillan made the decision to take what was a hotel and spa and convert it into a modern Wellness Retreat, along with a world-class Day Spa, Health Optimizing Royal Retreat, Bio-Energy centre and Business Forum. Click here to find out more about this venue. Branching out rapidly from its French roots, the practice of vinotherapy is now becoming more and more popular in new parts of the world. 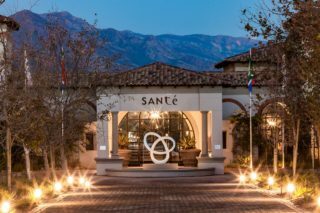 According to Lancaster, Santé owns the trademark for vinotherapy in South Africa and that the Spa offers it as a signature treatment to guests. The cosmetic company that supplies Santé with the grape & grape seed extract uses only grapes that are both pesticide- and chemical-free. This is a crucial element when it comes to vinotherapy, Lancaster explains, because the body absorbs certain trace elements. 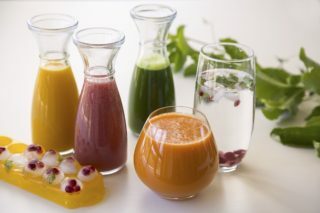 As such it is important to make use of only organic produce when performing the treatment. Click on the link to find out more.